East Gwillimbury is usually defined as a mix of rural and urban communities surrounded by the beautiful scenery. Whether you are suffering from infestation in the Mt. Albert region or Holland Landing, we cover all the parts. No matter your life is affected by raccoons, mouse or any other pest, we will help you get rid of them completely. Mega Pest Control is applauded by most people of East Gwillimbury because we complete the evacuation process with the help of latest advanced methods and tools. The team of Mega Pest Control make sure that your property is completely free from all kind of infestation. For this, our dedicated team of experts carry out the process in a systematic yet safe manner. When we work, customer satisfaction remains our prime motto and your health is one important part of it. We practice all the eco-friendly methods to remove infestation, and it can be well experienced when our experts eliminate pests from your sweet home. 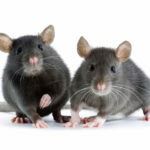 Nobody enjoys unwanted guests in their home and pest infestation is one such act. Some of the unwanted guests affecting the life of people in East Gwillimbury are cluster flies, ladybugs, bed bugs, wasps, fleas, etc. If you are also affected by any of these, then do not delay in calling Mega Pest Control and experience what several others have already experienced, i.e. 100 percent satisfaction. Wash all the dirty dishes and clean up the area where you prepared the food. This way, you won’t leave anything for them to feed upon.All the food items should be stored in air-tight containers made up of glass or heavy plastic. Pests are the carrier of various dangerous diseases, if you accidently consume the food contaminated by them, you may get some major health problems.Fruits and vegetables should always be kept in the refrigerator.Daily clean your house.Standing water should not be left in bathtubs, sinks, or showers.You should check the pipes underneath your sink for any leakage.If you see any cracks, seal them. You can use caulk to seal those cracks. These are some of the many healthy practices that you can practice in your daily life. These practices won’t remove the infestation but disturb the insects and force them to search another favorable area. If you are lucky, they will leave your house. You should not treat the infestation on your own because there always remains the risk of them returning. Mega Pest Control is licensed by Ministry of Environment and we make sure that the pests don’t return. Our experts visit your property even after completely removing the infestation just to make sure that it hasn’t returned (99.9 percent time it doesn’t return). You can get a free estimate from our website. Compare it with other service providers, you will find that we charge the least.